"TOGETHER WE STRIVE TO SPREAD OUR CARING HANDS"
the gradual regression of their memory often leads to unintended habits of agitated movement and fidgeting with their hands. A person with Dementia may pull on their clothing or bedding, or rub their hands up and down a surface. Many of our friends deal with this habit by carrying around small objects such as beads, zippers, buttons, or any other different textured textiles. The simple solution to this is a fidget pillow, something with different textures and material sewn in for patients in order to keep their hands busy. This not only keeps them busy but it also induces unique forms of brain activity. Together, with the help of donations and materials, we can reach out our helping hands to bring activity back into their lives. Our goal is reach as many patients across the Fargo-Moorhead Area and help bring comfort to their lives. 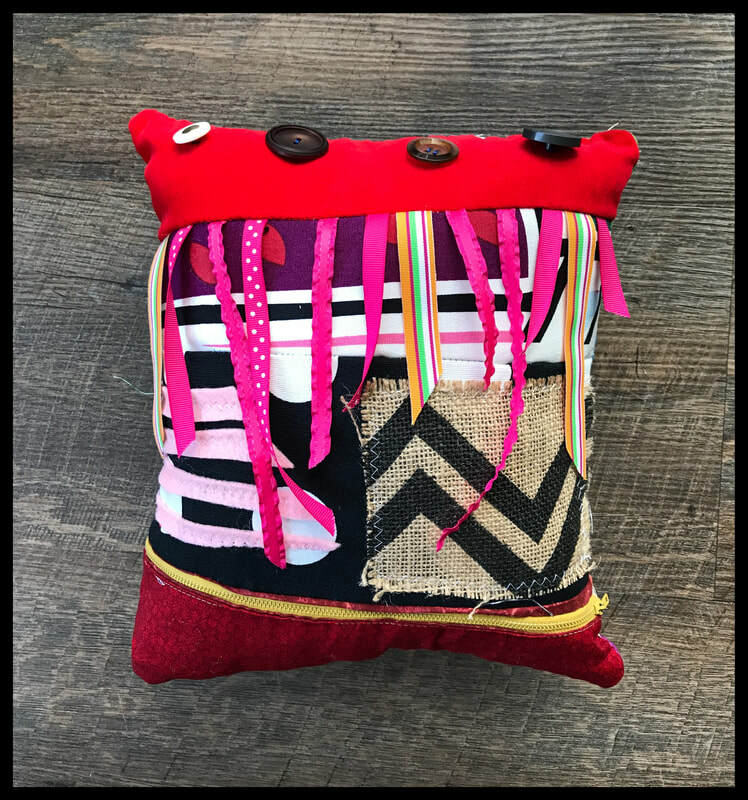 All of our pillows are hand-made and especially created by volunteers students who have taken the opportunity to make a difference in our community. The aim is for these pillows to not only satisfy the patient's fidgets, but to also spread hope across the community. Let us know if you have group or care facility that is interested in holding a Busy Hands Event! Make sure to leave your name, email, and comment below the dates that work! Tell us a little more about the group that we will be holding an event with. Is is a care facility, younger group of volunteers, or a gathering of multiple people?